Ahhh, the sweet potato. Whether you follow Paleo, Zone, or some variation on a macro counting diet, you’ve probably gotten very familiar with sweet potatoes. 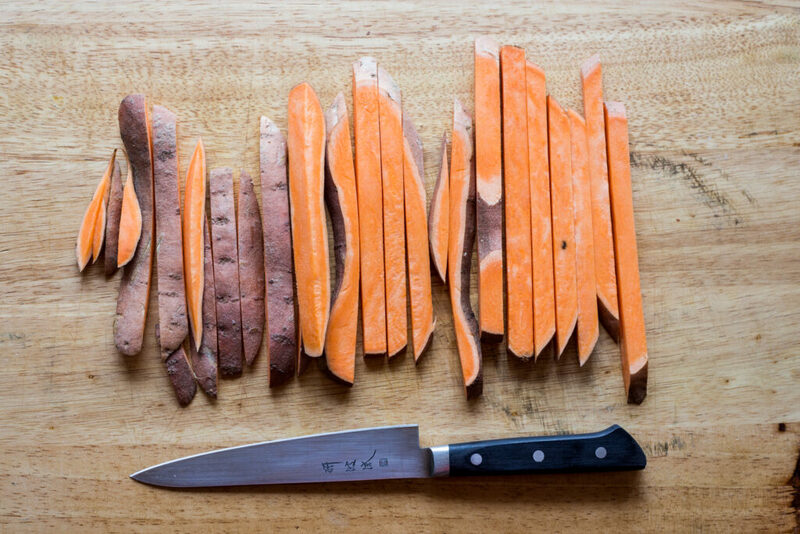 As athletes, the humble sweet potato exists to fulfill our carb allotment and give us the feeling that we’re eating something hearty and substantial. That’s all well and good, but damn, I’m tired of the same old sweet potato preparation. Sweet potato mash is just so…one note. 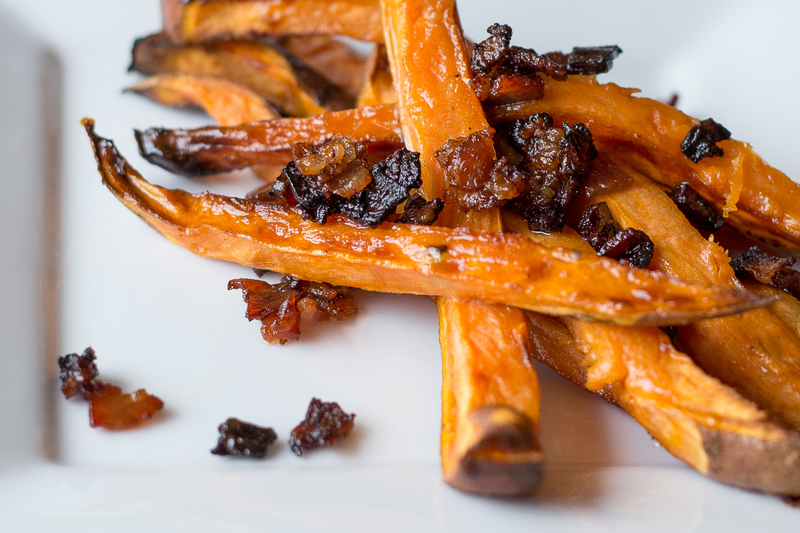 So, I set out to create a sweet potato side dish that was super easy, had textural variance, and would satisfy both a sweet and a savory tooth…MAPLE BACON SWEET POTATO FRIES. It’s a good day in the BarBend office when I get to come up with this stuff. The biggest problem with these fries is that they’re so good, it’s going to be nearly impossible to only eat within your allotted amount. 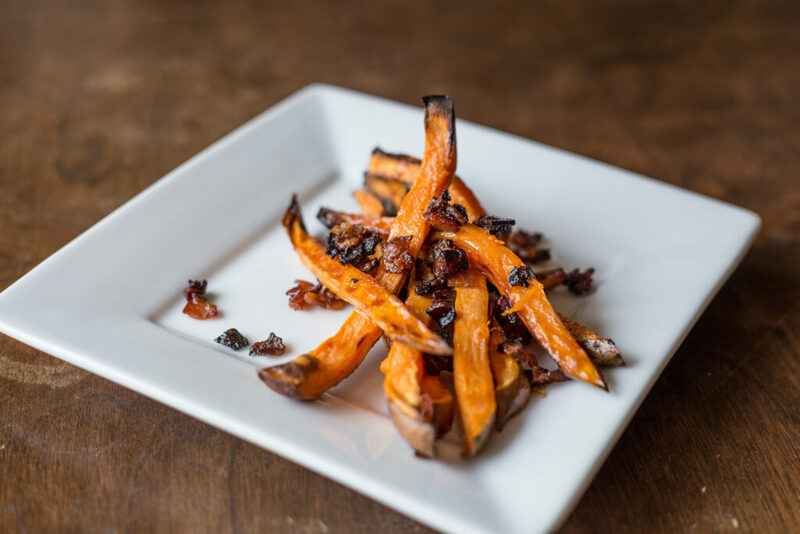 The bacon fat will seep into the sweet potatoes making them extra savory, and the maple sugar will caramelize and bring texture to the dish. I suppose this is where following Paleo really comes in handy, because you can eat as much as you want as long as it’s Paleo, right? Good thing this recipe is Paleo and gluten-free. Toss sweet potato wedges with maple syrup and arrange on a baking sheet. 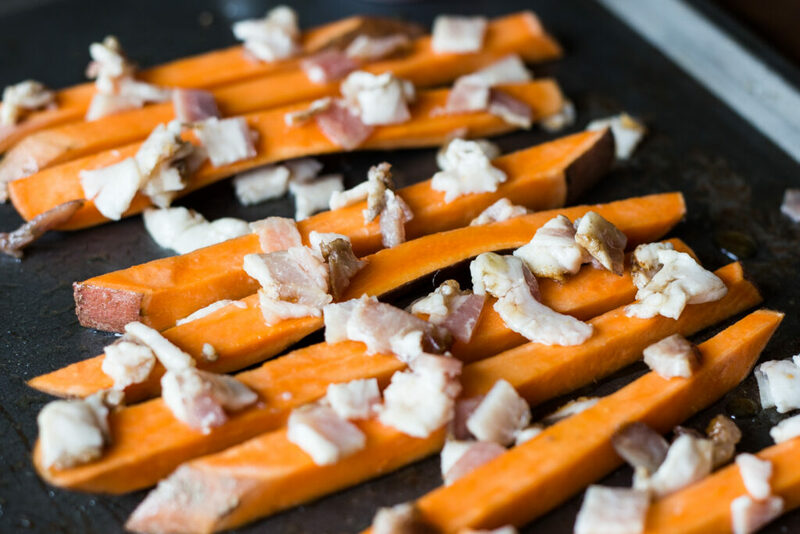 Scatter bacon evenly over the top of the sweet potatoes, taking care to avoid large clumps of bacon. *Note that because of the sugars in the maple syrup, you’re going to see more browning than you normally would. Don’t worry about the bacon looking closer to “burned” than you’re used to, that’s just delicious caramelization. It’ll taste great and give you that satisfying crunchy, candied texture. Your nose will tell you if anything is burning, not your eyes!